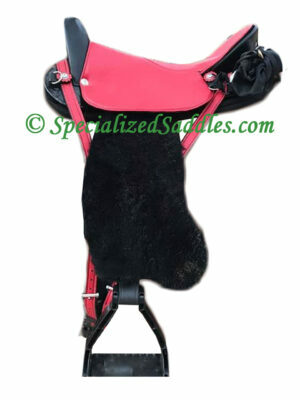 Specialized Saddles Leather Covered Trail Stirrups come with large cushioned foot bed, in choice of black, brown, mahogony, dark oil or light oil. 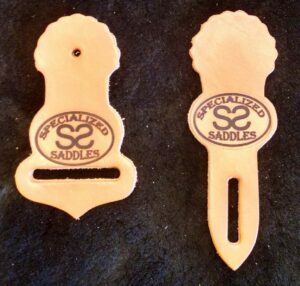 Specialized Saddles Leather Covered Trail Stirrups are made with the same high quality saddle leather we use in building our Specialized Saddles, covering lightweight aluminum stirrups that feature shock absorbing treads. These shock absorbing treads provide extra support and comfort and help prevent feet and ankles from tiring quickly, especially on long rides! 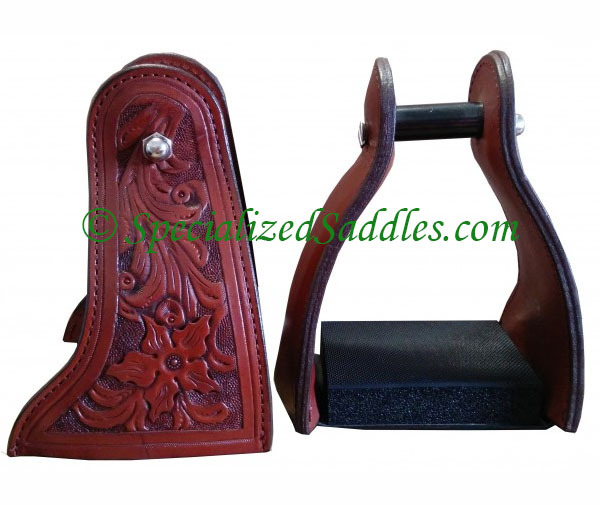 The Leather Covered Trail Stirrups are available in all saddle colors (Black, Brown, Mahogany, Honey, Dark Oil & Light Oil) and can be optionally tooled to match your Specialized Saddle. The stirrups are wide enough to accommodate insulated boots or tennis shoes. Leather Covered Trail Stirrups are available in 2″ (for our Biothane Stirrup Leathers), 2 1/2″ (for our Traditional Fenders) or 3″ (for non-Specialized Saddles Traditional Fenders) neck size.